Yesterday his administration basically made that official. 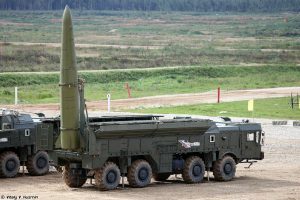 Essentially, the US position is that Russia has essentially developed weapons that violate the treaty, so the USA does not want to be bound by it. US President Trump has given the Europeans and Russians more impetus to speak to each other on military matters where they oppose the USA. This entry was posted on Saturday, February 2nd, 2019 at 8:45 am	and is filed under Prophecy.